On Wednesday 21 March, during an African Union (AU) Extraordinary Summit in Kigali, Rwanda, 44 African countries signed an agreement establishing a continental free trade area. This area, part of the AU’s Agenda 2063, and which has been under discussion since 2015, would be the world’s largest free-trade area in terms of number of countries, representing 2.500 billion euros in cumulated GDP. Although the agreement was signed by countries such as Kenya, Morocco, Egypt and Algeria - the latter being usually very protectionist -, it must accommodate with the absence of Nigeria, one of the continent’s major economies. 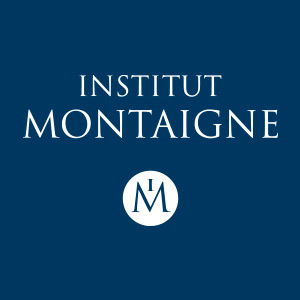 Michaël Cheylan, contributor on African issues for Institut Montaigne, shares his analysis. Is Africa moving, with this agreement establishing a continental free trade area, towards a single market comparable to that of the European Union? In spirit, in a way, yes. In fact, not quite yet. First, the African Continental Free Trade Area (AfCFTA) is not fully perceived or articulated in the minds of its supporters as the first step of a process that will eventually lead to a political integration comparable to the one we have in Europe. Second, because in practice, to be effective, the AfCFTA must pass several preliminary tests. At least 22 national parliaments must ratify the treaty in order for it to be implemented. Yet once this step is completed, the question regarding the way this free-trade treaty between African countries must concretely be applied will arise. A series of Gordian knots will then surface. It will be up to the States to untie them in order to allow for the development of intra-African trade, be it material, like infrastructures - although there has been many achievements in this field during the last decade, much remains to be done -, or immaterial, such as the non-tariff or informal barriers that hinder trade between African countries, but also often within the same country. The President of Nigeria was not present at the Extraordinary Summit in Kigali, and therefore did not sign the framework agreement. What would the absence of one of the continent’s main economies mean for such an agreement? Symbolically, the absence of Nigeria, which is one of the two largest economies in sub-Saharan Africa, undoubtedly somewhat ruined the party. But Nigeria has always operated almost in autarky with other African countries in terms of economic exchanges. This is due to the country’s large size, and thus deep market and very large consumption basin - composed of 200 million people. Nigerian companies therefore have a lot to do at home. Moreover, Nigeria has a strong private sector with charismatic business leaders, such as Aliko Dangote or Tony Elumelu. Until recently, Nigerian firms exported relatively little elsewhere in Africa. They were largely introverted, that is, turned mostly to their domestic market, and exported internationally. Things are evolving in this regard, although at a moderate pace. On the occasion of the AU Extraordinary Summit in Kigali, President Muhammadu Buhari was reportedly pressured by Nigerian industrialists who are opposed to a free trade system likely to challenge the oligopolistic, even monopolistic, situation some of them benefit from. In any case, they will not allow it without previously negotiated guarantees. This short and medium-term protectionist logic prevailed and prevented Nigeria from signing the treaty establishing the AfCFTA. The long-term benefits associated with commercial openness could not compete. What are this agreement’s implications for trade, both intercontinental and with other regions of the world? "In theory", this would mean that intra-African exports would compete more with European exports or that of other parts of the world. Such a scenario would be desirable because Africa is far behind in this regard: only 16% of African trade takes place within the continent, against 70% for Europe, 54% for North America and 51% for Southeast Asia. Africa thus continues to trade widely with the rest of the world rather than with itself, which constitutes an "anomaly", or in any case an imbalance that the AfCFTA could, at least partly and theoretically, overcome. "In theory" because most goods - but also a good part of the services - consumed in Africa are conceived outside the continent: they are imported. However, Africa must give itself the means to reduce this too high level of imports: what is consumed in Africa must be increasingly produced in Africa. This is a major point which, if not addressed, is likely to limit the positive effects of the AfCFTA. Hence the need for African economies to produce more and to create more added value in order to reduce their level of imports. This is the virtuous circle that should be established. Indeed, it alone would launch, on a sufficient scale, the job creation process in the formal sector. This is a crucial point because this issue - which is closely linked to the continent's capacity to create wealth - is, alongside the consolidation of States and institutions, the demographic transition and the ecological shift, one of the top priorities for Africa, where every year, 10 to 12 million young people try to enter the labor market. Will Paul Kagame, Kigali’s “Strongman”, Remodel the African Union Into a “Strong Institution”?